The importance of students being able to decode and write words is unmeasurable. The more patterns they learn to decode, the more they can read. The more they can read, the more they can learn. Giving our students a back bone in phonics and spelling patterns is like giving them a key to unlock thousands of hidden worlds. Whether they choose to unlock a door that leads to the world of Greek mythology with Percy Jackson or a World War II fact book, they have a greater ability to break down walls with every skill or pattern they place into their reading and writing “toolbox”. It can be difficult to create a culture of excitement around spelling instruction. 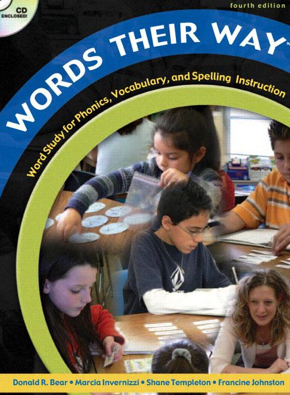 Currently, I use the Words Their Way program which offers a lot of options for games that students can play at centers. I have also been supplementing the games with different apps throughout the year. One app that my students enjoy using for spelling is the Smart NoteBook app. I have created a notebook file that allows students to download our words for the week, and sort them on the appropriate lists. This sorting by phonetic patterns is always a must on Mondays to begin our spelling instruction. The students have the option of sorting their hard copy spelling words for the week or using the app, and most stick with the app. We review how to appropriately sort the words at the end of stations and clear up any misconceptions.The students can also use the Smart Notebook app or the IBrainstorm app to play “Guess My Sort”. This is a game in which the students group words into logical patterns and have another individual guess how they sorted them. Until recently, I had been overlooking one of the most engaging resources for spelling instruction in my classroom. My class has had the Spelling City app for most of the year, but I had yet to tap into this wonderful resource. As a teacher you can create on online account with Spelling City, and input your weekly spelling words. The students can then play various games like hangman on the app after signing into your account. This app has worked like magic in my classroom. The students’ spelling grades that used to be at the bottom of the barrel have shot up in a matter of two weeks. I even have students emailing me to tell that they were able to talk their parents into getting the app for their family IPad. What a great feeling as a teacher to have students that have the desire to talk their parents into downloading a free and educational app. I know I will be plugging my spelling words into the Spelling City site until the end of the year, and next year they will be there waiting for me. Download this free app for your class or student today!